Here on Shopper Points we focus on earning and spending High Street loyalty points, primarily via Tesco’s Clubcard and Sainsbury’s Nectar card. Every now and then we discuss how to use credit and charge cards to help you maximise your points each month. We’ve talked about the American Express Nectar credit card which lets you earn Nectar points when spending money on it and mentioned a couple other cards which you can find here. In order to get more flexibility when it comes to spending points, one of the selected American Express cards which let you earn Membership Rewards points might be a better choice. 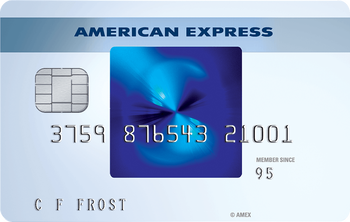 American Express Membership Rewards Cards offer the flexibility of earning and spending points exactly how you wish. Membership Rewards points can be redeemed in a variety of ways and you can use your points to pay off the purchases made with your credit or charge card. Which American Express cards let you earn MR points? 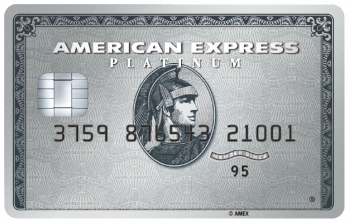 The American Express Preferred Rewards Gold Credit Card comes with a very generous sign-up offer worth 20,000 Membership Rewards points. This is triggered when you spend £2,000 within the first three months of card membership. 20,000 points are worth £90 if redeemed for statement credit as we will see below. The card has no annual fee in year 1 and £140 thereafter. You can cancel at any point. Our full card review is here. Representative example: APR 57.6% variable including the annual fee of £140 (free in the first year) based on an assumed £1,200 credit limit. Interest rate on purchases 22.9% APR variable. The American Express Rewards Credit Card offers 10,000 Membership Rewards points when you spend £1,000 within the first three months of card membership. There is no annual fee. Representative example: APR 22.9% variable, based on an assumed £1,200 credit limit. Interest rate on purchases 22.9% APR variable. The Platinum Card has the highest sign up bonus. You will get 30,000 Membership Rewards points when you spend £2,000 within the first three months of card membership. This card comes with a number of perks like travel insurance for the whole family, free lounge access, status in various hotels and Eurostar lounge access. However, the annual fee for this card is £450. The full review of this card is here. Like most rewards credit cards, these cards are not suitable for you if you do not repay the entire balance at the end of the month to avoid paying interest. There are other cards on the market with substantially lower interest rates. Platinum is a charge card which means that you MUST clear your balance at the end of each month. Note that any American Express welcome bonus is not available for customers who currently hold or have held a Membership Rewards Card in the last six months. This is the fun bit as you can use your points for a variety of things. You can for example transfer your Membership Rewards points to Nectar at a rate of 1:1. This means that Amex Gold is just as generous for Nectar as the American Express Nectar credit card but comes with many more redemption options. If you want to convert your Membership Rewards points into shopping credit, there are a number of gift cards available on this Membership Rewards page including Amazon, IKEA and Topshop. A great way of using your Membership Rewards points is the ‘Pay with Points’ option as it’s super flexible. You can use your points to pay for almost anything simply by clicking on the transaction in your statement, and then selecting the “Use Points” option to have this amount applied as a statement credit. It’s easy and hassle free! It’s totally up to you how you use your points – they could pay for your morning coffee, evening take-away or Saturday ride home; you could save up your points to pay off a special treat; or, simply redeem them every month to reduce your statement. The Amex Membership Rewards website is here if you want to look for yourself at all the reward options that are available. This would be a great flexible option if the spend rate wasn’t so atrocious. 0.45p per point, never going to be interesting at that rate. Who would swap a MR point worth say 1p with Avios to one giving 0.5 p with Nectar? I have tens of thousands of Nectar points looking for a home worth more than that for a year now as I’m bored of eating Pizza Express & going to Amusement parks! Hi, would you be eligible for the sign bonus of 10000 MR with the Amex Rewards credit card if you cancelled a Gold or Platinum within the last 6 months? Thanks. No, you need to wait until after 6 months from cancelling. How can you convert 20,000 to a £90 statement credit? Can I convert Nectar points into Membership Reward points? I had a Nectar now I have an Amex Gold. Yes, but they won’t be eligible to receive any sign-up bonus points.